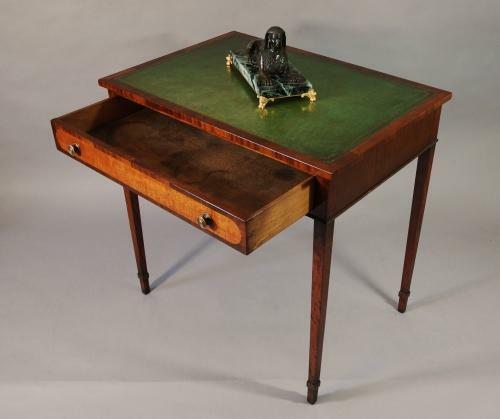 A small elegant mahogany single drawer writing table. The top is of green tooled leather with mahogany crossbanding. There is a satinwood & mahogany banded oak lined drawer with 2 brass knobs. The table stands on four mahogany tapered legs with a collar at the base of the leg.